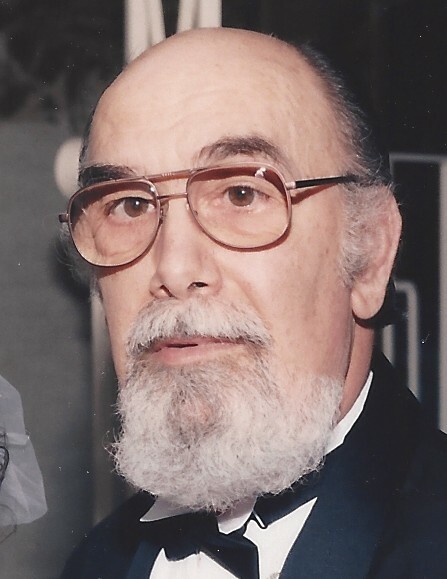 Vito Anthony Leardi, age 84, of Kingsville, OH died Saturday, Feb. 24, 2018 at the David Simpson Hospice House in Cleveland. Vito was born April 3, 1933 in Lowellville, OH the son of Louis and Connie (Martucci) Leardi. He was a 1951 graduate of Lowellville High, and in 1953 he enlisted in the United States Army, proudly serving his country in the Korean War. While enlisted, Vito was a member of the 10th Infantry Regiment Band. He was honorably discharged in 1955 and returned home. Vito worked for Sharon Steel and later earned a bachelor’s degree from Youngstown State University in Business Administration in 1958. Vito worked for the W.T. Grant Company located in Sharon, Pa., Oil City, Pa., Conneaut, and later retired from the former Premix Corporation after 28 years of service. Vito was a member of Corpus Christi Parish, he volunteered many hours to help the church in various ways. He enjoyed camping with his family when his children were younger, bowling, reading and spending time with friends, family and especially his grandchildren. He was preceded in death by his parents, a teenage son Richard in 1979 and an infant sister Delores. He is survived by his wife JoAnn (Traino) Leardi, whom he married August 24, 1957, one son Louis Leardi of Conneaut, two daughters Barbara Leardi Estes and Sandy (Terry) Moisio both of Conneaut, one sister Bella (Joe) Herrubin of Canfield, 8 grandchildren – Janet Estes, Dana Estes, Kelly Estes, AJ Ford, Taylor Moisio, Krystle (Gabe) Sleigh, Rachel Moisio, Jared Moisio and 11 great-grandchildren. Private Services will be held at the family’s request. Burial will take place at St. Joseph Cemetery in Conneaut. Memorial Contributions can be made to The Hospice of the Western Reserve in Vito’s name. Donation cards will be available at the funeral home office.